Social Welfare History Project Chapin, John B., M.D., LL.D. Chapin, John B., M.D., LL.D. In the fullness of years, in quiet retirement after more than a half-century’s active professional toil, amid scenes endeared to him by early years of association and work, surrounded by his children, having the admiration and love of the members of his profession and the affectionate gratitude of unnumbered persons to whom or to whose friends he had been physician, guide, counselor and friend, Dr. Chapin died at his home in Canandaigua, N.Y., on January 17, 1918. And here one might pause. Dr. Chapin’s whole life had been lived in the open, his record has been made in the history of his state in the annals of the hospitals with which he has been connected, in the printed page, but more clearly in the hearts of his friends, lay and professional, and nothing that we can here set down will augment his fame. The question however confronts us: ‘Because he needs no praise, wilt thou be dumb?’ We may not so excuse silence much as we doubt our ability to adequately meet the task of writing something which shall in a small measure portray his career, and record our own affectionate regard, our profound sense of bereavement, as well as that of his professional friends and associates. Dr. Chapin descends on the one side from Puritan ancestors, being in the eighth generation from Samuel Chapin, one of the founders of Springfield, Massachusetts, who is commemorated by St. Gaudens’ beautiful statue in that city. Samuel Chapin, the son of John Chapin, was christened in the parish of Paignton, Devonshire, England, in 1598. He took the freeman’s oath in Boston, June 2, 1641. He was a magistrate, a deacon in the church, and much employed in public affairs. His descendants appear to have followed in his footsteps. Dr. Chapin’s great-grandfather was a soldier in the colonial wars and in the War of the Revolution. Dr Chapin’s father, William, was the son of Nathan Chapin who removed from Springfield to Philadelphia and who married Elizabeth Castner, a descendant of a German Quaker, one of a company of immigrants who became identified with the Society of Friends of Gwynedd, Montgomery Co., Pennsylvania. William Chapin was born in 1802. He was a man of artistic tastes and literary ability, and acquired a practical knowledge of the art of steel engraving which he applied to the production and publication of maps in New York City. He was also a contributor to the periodical press. He early became interested in the blind and in 1840 became the superintendent of the Ohio Institution for the Blind at Columbus, Ohio. The education of the blind became his life work and some years afterward, during his son John’s first year in college, he was called to the principalship of the Pennsylvania Institution for the Instruction of the Blind, in Philadelphia, where he remained until compelled to relinquish the duties of the position by the infirmities of age. Dr. Chapin’s pardonable pride in his long line of ancestors to which we have referred was not based alone on the records of the paternal side. His mother was Elizabeth H. Bassett, daughter of Rev. John Bassett, D.D., a graduate of Columbia College, the recipient of honorary degrees from Williams College, Yale College and Columbia University; minister of the Reformed Churches at Albany, N.Y., and at Bushwick, Long Island, N.Y., and Kingston, N.Y. The Rev. John Bassett’s ancestors were Harmen Thomas Hun, born in Amersfort, Holland, who settled in Albany in 1661, and Francois Bassett, a mariner, who was born in Marcimes, France, and who with other Huguenots arrived as fugitives from France in Boston in 1664 and was a resident of New York in 1685. His son Francis was a governor of the New York Hospital, a charter member, named in the Royal Charter granted in 1771. In this hospital, his great grandson, Dr. Chapin, served as interne and then as resident physician. Dr. Chapin was born in New York, on December 4, 1829. When he was about two years of age, the family removed to the vicinity of Penn Yan in Yates Co., N.Y., and there, when he arrived at the proper age, his education began in a country school house which he has described as a room about sixteen by eighteen feet in dimensions with a sloping shelf attached to the wall for use as a desk with benches or sittings so placed that the pupils faced the wall and the inclined shelf or desk. The teacher sat in the center of the room near the stove. From this school he went to an academy in Penn Yan, but the arbitrary discipline of the teacher was such that he soon left the school. The years passed in Yates County, the experiences of farm life and all the associations of an impressionable period had a lasting influence upon Dr. Chapin’s career. In 1840 his father, as has been stated, removed to Columbus, Ohio, to assume the direction of the institution for the blind in that city. The journey was made by stage-coach and canal-boat to Buffalo, and thence by lake to Cleveland, Ohio, and by canal boat again to Columbus, the journey being accomplished in 12 days. The educational opportunities at Columbus not being satisfactory, it was decided in March, 1844, that he was to be sent to Philadelphia to enter the public schools of that city, and the young lad set off alone by stage-coach, travelling night and day until Harper’s Ferry was reached, whence he proceeded by rail to Baltimore and thence to Philadelphia in the same manner. In Philadelphia he found a home in the family of a friend of his father’s and entered the northwest grammar school, where in a short time he was by reason of his high standing offered an opportunity to enter the high school, which however he did not accept. His father had given him letters to different friends in the city, among them one to Dr. Thomas S. Kirkbride, which in due time he presented, thus meeting the man whom he was to succeed as the medical chief of the Department for the Insane of the Pennsylvania Hospital, forty years thereafter. After about a year in Philadelphia, Dr. Chapin returned to Columbus and entered upon a preparation for a college course at Hudson, Ohio, entering the Western Reserve College in 1846. His father having removed to Philadelphia, it was decided that the son John should enter Williams College in his sophomore year, and from that institution he received the degree of A.B. in 1850. While at Williams he had the advantage of contact with that famous educator, President Mark Hopkins. Many of his classmates attained eminence in various fields. Two became college presidents, others attained distinction as judges of courts, clergymen, members of the bar, physicians, and in the military service of the United States in the Civil War. Early in his student days, Dr. Chapin decided to enter the medical profession, and while in college and during vacations he read several medical books, during one winter joined an anatomical class and attended lectures on the subject. He was aided and in some measure directed in his medical studies by Dr. Charles Hubbell of Williamstown, who invited him to ride with him to see patients, and occasionally to assist him. On the first of September, 1850, arrangements were made, in conformity to the custom at that time, and for a long time thereafter in vogue, for him to enter the office of Dr. John A. Swett, one of the attending physicians to the New York Hospital, as a student of medicine. Soon afterward he obtained a substitute interneship in the hospital and in 1852, after passing an examination, an appointment on the house staff. During this period he had attended, by permission of the governors of the hospital, medical lectures at the Jefferson Medical College in Philadelphia, from which he received the degree of M.D., in 1853. In 1854 he was made house physician in the New York Hospital after more than two years service in junior grades. The hospital was then located on Broadway opposite Pearl street. Here he had a very active service. Cholera and typhus fever were epidemic in New York during his service in the hospital, and it became necessary to erect temporary pavilions on the hospital grounds. In April, 1852, while an interne at the hospital, he attended the seventh annual meeting of the Association of Medical Superintendents of American Institutions for the Insane, now the American Medico-Psychological Association. Completing his service in the hospital, with no predilection for private practice, permission was sought to appear for examination for entrance to the medical corps of the U.S. Army. While awaiting a reply to this request, an invitation was received from Dr. John P. Gray, medical superintendent of the New York State Lunatic Asylum, now the State Hospital, at Utica, to accept an appointment as assistant physician at that institution. This invitation was in direct line with Dr. Chapin’s inclination and was accepted, and in September, 1854, he entered upon the duties of the position. Here he found problems confronting him quite different from those he had hitherto met. The lack of previous training in psychiatry was recognized, but the application of general medical training already attained successfully met the situation. The American Journal of Insanity was edited and published at the asylum. Its printing at that time was done by patients under the direction of an employed printer of experience and in its editorial conduct, in connection with the medical superintendent, Dr. Chapin found congenial occupation. Here also he found an excellent medical library. In 1854 the superintendents of the poor of the various counties of the state held a convention and appointed a committee to address a memorial to the state legislature asking for additional hospital provision for the insane confined in the county alms-houses. Dr. Gray was present at the convention and vigorously supported the measure and proffered such assistance as he could render in carrying out the laudable desires of the members of the convention. At Dr. Gray’s request Dr. Chapin entered upon the work of procuring data as to the number of insane in the almshouses, and information as to their condition and the methods of care in vogue, and the preparation of the memorial to the legislature. This memorial, the work almost wholly of Dr. Chapin, appears as Senate Document No. 17, January, 1856, New York State Legislature. Thus began Dr. Chapin’s work for the better care of the chronic insane of New York, and the removal of all insane persons from the county almshouses, which culminated in the establishment of the Willard Asylum, now the Willard State Hospital, with which his name will be forever inseparably connected. The Senate adopted a resolution appointing in February, 1856, a special committee to visit all almshouses, county homes, and charitable institutions in the state, and as a result of its investigations a bill was introduced the following year creating two additional asylums for the insane and an asylum for the reception of insane convicts and criminals. The bill for the two additional asylums failed mainly because of selfish contentions as to their location, but a bill was passed creating an asylum for insane convicts and criminals within the grounds of the state prison at Auburn. During the year 1857, Dr. Chapin was assigned to the duty of examining the prisoners at Auburn, while Dr. E.H. Van Deusen, then a fellow-assistant physician at Utica, performed the same duty at Sing Sing and Dannemora prisons. There were at the time 22 insane criminals at the Utica hospital. About this time Dr. Gray proposed with the full approval of the managers of the hospital that Dr. Chapin be given an indefinite leave of absence with continuance of salary and a provision for necessary expenses, and instruments, to go to Paris and take up research work in neuropathology, especially as related to psychiatry, and in clinical psychiatry. This was one of the earliest, if not the earliest, of plans in this country to promote special scientific study of mental disorders and their pathology. A fire which occurred in July, 1857, at the Utica Asylum, destroying the administration building and part of one wing occupied by women patients, resulted in such a disturbed condition in the medical and administrative work at the institution that these plans were for the time abandoned. It is interesting to conjecture what might have resulted for the good of psychiatry at the Utica asylum and in the community at large had they been carried out, and the marked change in Dr. Chapin’s career which would have followed. Clearly he had made in his three years of service at the hospital a most favorable impression upon his medical chief as well as upon the managers of the institution to have been selected for such work and promised such liberal support. Dr. Chapin has recorded that during his service at the New York Hospital and at Utica he considered it a ‘first requisite to acquire knowledge of all the many details of institution work, with abiding confidence that it would become available somewhere at some time.’ In the latter part of 1857 he resigned his position at Utica to take effect early in 1858, when his successor was appointed. He was succeeded by Dr. Joseph M. Cleaveland, afterwards medical superintendent of the state asylum at Poughkeepsie, N.Y. When returning to Philadelphia, he called at Canandaigua, N.Y., upon Dr. George Cook, who had been an assistant physician at Utica under Dr. Brigham, and who after a year spent in foreign asylums, in 1854 returned for a year’s further service at Utica in 1855. Dr. Chapin had then no definite plans. He had thought of entering practice in either Philadelphia or New York, and the medical service of the army or navy had also been considered. He was met by a proposition from Dr. Cook to join him in the conduct of Brigham Hall, a small private hospital for mental disorders which Dr. Cook had established at Canandaigua in 1856. It was agreed that the hospital was to be enlarged and incorporated. The act of incorporation was passed by the N.Y. State Legislature in 1859, incorporating ‘Brigham Hall – A Hospital for the Insane.’ The addition of a new wing was undertaken, with the expectation of having it and certain other improvements completed early in 1860. In the meantime, having returned to Philadelphia, Dr. Chapin found that his father had been requested to name a suitable person to organize a new institution for the blind in St. Louis, Missouri. This position was accepted by Dr. Chapin, and on March 18, 1858, the day of his marriage to Miss Harriet E. Preston, he left for his new position. The position was accepted for temporary occupancy, as he had become committed to Dr. Cook and Brigham Hall, and in April, 1860, his connection with the St. Louis institution ended. In May, 1860, he resumed his professional work with the insane, and his association with his friend and former associate at Utica, Dr. George Cook. During his residence in Canandaigua, Dr. Chapin formed many attachments, both personal and local, and his work and associates were most congenial, and to Canandaigua his mind turned as to a pleasant haven of rest, when he retired from hospital work in 1911. After the convention of the superintendents of the poor of the counties, in 1854, and the action of the state legislature in 1856, which as has been seen came to naught, nothing was done to improve the condition of the insane in the almshouses, and their number steadily increased. There was no law preventing the direct commitment of the acute insane to almshouses, and patients supported by the counties in the single state hospital, at Utica, were removed to the almshouses as soon as their outlook became hopeless, and to make room for other cases. A bill was drawn and passed on April 6, 1865, creating the new asylum, which was named the Willard Asylum in memory of Dr. Willard, who died just before its final passage. This bill was drawn by Dr. Willard and Dr. Cook at Canandaigua, and Dr. Chapin was often consulted as to its phraseology and scope. The title of the bill was ‘An Act to Authorize the Establishment of a State Asylum for the Chronic Insane and for the Better Care of the Insane Poor.’ Sections of the law stating its purpose to remove the chronic insane from the almshouses to the new asylum and making it mandatory to transfer and in future commit all acute cases to the asylum at Utica were mainly Dr. Chapin’s own composition. This was a radical departure from existing methods and met with the usual criticism which attends departures from prevailing methods. The plans also provided for an administration building with a main hospital group attached. For these plans Dr. Chapin was wholly responsible, and after their adoption and approval by the governor, Dr. Gray resigned from the commission and Dr. Congdon was appointed in his place. From that time Dr. Chapin became, because of the fact that he was the only member of the commission familiar with hospital construction and management, virtually the moving force of the commission. Under his direction the buildings were located and completed, and for the first time in this country an institution was established with a thoroughly elastic plan, with a segregation rather than a congregation of buildings, and with the distinct purpose in view of facilitating the occupation of patients upon the farm, and in other ways to aid in their own support. In 1869 the buildings were so far advanced that the legislature abolished the building commission and transferred its powers and the administration of the affairs of the institution to a Board of Trustees, provided for in the original act. On its organization this board elected Dr. Chapin medical superintendent of the new asylum. He did not desire the position and held the letter of appointment under consideration for three months before finally sending a conditional acceptance. It was represented to him that the institution should be opened by one wholly in sympathy with its purpose, the removal of the insane from the almshouses and the reception of those discharged unimproved from Utica. The appointment was accepted upon the condition that the service was to continue during the period of organization only and not longer than three years, but subsequent events caused a reconsideration of this decision and Dr. Chapin remained at Willard until called to succeed Dr. Kirkbride at the Department for the Insane of the Pennsylvania Hospital in West Philadelphia in 1884. The institution was prepared for the reception of patients under Dr. Chapin’s direction, after his assuming the duties of medical superintendent, and on October 13, 1869, three patients, one woman and two men, were admitted. From that time dates the medical work of the institution. Of Dr. Chapin’s work, in the conduct of the hospital, it is unnecessary here to speak in detail. The record has been made in the annual reports which Dr. Chapin wrote, in the annals of the state which he so well served, and in the history of his profession. From the small beginning in 1869 a large hospital rapidly developed. We have used the term hospital with a purpose, for we wish to accentuate the fact that Dr. Chapin had from the first and on all occasions made a point of emphasizing the proposition that in the care of the so-called ‘chronic’ insane at Willard there was to be no lowering of the standard which had been established at the then only state asylum in New York, at Utica, a standard which for a long time had been one to be modelled upon and emulated by other institutions in other states. To again quote from Dr. Chapin, ‘Whoever may perchance stand upon the divide between the Lakes Cayuga and Seneca in that beautiful region of New York, and descend the gentle slopes that lead to the shores of Lake Seneca, will today see a magnificent estate of more than 1,000 acres, upon which has been erected a well-equipped hospital and colony, providing for more than 2,200 insane persons.’ Somewhere upon a commanding site on that great estate should be erected a shaft to the memory of the man who had the vision and who had the force and perseverance to make that vision a reality. And upon that shaft should be inscribed Sir Christopher Wren’s epitaph in St. Paul’s Cathedral: ‘Si monumentwn requires, circumspice.’ In the words of Hazlitt, ‘Those only deserve a monument who do not need one; that is, who have raised themselves a monument in the minds and memories of men;’ and this is singularly true of Dr. Chapin. Shortly after the death of Dr. Kirkbride, for more than 40 years the physician-in-chief of the Department for the Insane of the Pennsylvania Hospital, Philadelphia, Dr. Chapin was asked to accept the position thus made vacant. The invitation was twice declined, the roots had struck deep at Willard – there was a disinclination to abandon a work to which for many and obvious reasons he was deeply attached – but finally he became convinced that it was his duty to accept, and in September, 1884, he entered upon a service in Philadelphia which continued for 27 years. 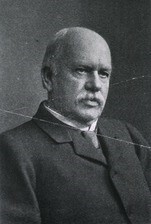 Dr. Chapin had in 1884 reached the age of 55. He was still active, still looked forward, and though lacking some of the elasticity of his earlier years was not lacking in enthusiasm or initiative. He saw opportunities in his new field and was not slow in seizing upon them. But two members of the medical staff remained to serve under him, and he found it necessary to find others to take the vacant places; the methods of administration in vogue had to be learned, and, as necessity arose, modified. Careful clinical study was urged upon his assistant staff, and as far as possible pathological and clinical laboratory work encouraged; and, in short, without making any revolutionary changes new ideas and new methods were brought into prominence. In this last paragraph one can catch a reflex of Dr. Chapin’s experiences in the discussion of the Willard plan at the meetings of the Association. In the address referred to he also called attention to the inadequate salaries paid to medical officers of hospitals for the insane in many instances. He was always of the opinion that some provision should be made for a retirement allowance after a certain number of years’ service, and an advocate of a secure tenure of office for medical superintendents, without the fear of political interference therewith, which is so often the case. Dr. Chapin received the honorary degree of LL. D. from Jefferson College, Pennsylvania, and from his alma mater, Williams College. He was a fellow of the College of Physicians of Philadelphia, and an honorary member of the Medico-Psychological Association of Great Britain and Ireland and the Societe de Medicine Mental de Belgique. In 1898 he published a ‘Compendium of Insanity’ for the use of students and general practitioners, which was well received, and served a most useful purpose. On the first of December, 1904, he was given a complimentary dinner at the Bellevue-Stratford Hotel in Philadelphia, which was very largely attended and which marked the completion of fifty years’ work in hospitals for the insane. On this occasion he was presented a life-size portrait of himself, copies of which were afterward placed in the hospital in West Philadelphia and at the Willard State Hospital. Subscriptions for the dinner and portrait came from all parts of the country as well as from abroad, and the after-dinner speeches, the letters and telegrams which came from many unable to be present, united in voicing the affectionate regard which the many friends of the honored guest felt for him, and the high esteem they had for his attainments in his chosen field of work. It is given to few men to round out a half-century of active constructive work, and to retain the mental and physical vigor which was shown by Dr. Chapin on that occasion. He had exceeded the Psalmist’s limit of three score and ten, and on more than one occasion then and afterwards brought before the managers of the hospital the question of laying down his office, but was assured that it was the desire of the board that he continue to preside over the conduct of the hospital as long as he felt in condition to carry on the work. For seven years longer he remained at the hospital in West Philadelphia, resigning, and moving to a home which he had prepared in Canandaigua, in the summer of 1911. His last attendance at a meeting of the Association was in 1913 at Niagara Falls. He then showed little of the physical weakness of age and no perceptible diminution of his mental vigor. He carried on a correspondence with his more intimate professional friends until within a few months of his decease. It was a common thing to find at the close of a letter a postscript which read, ‘Does my handwriting show any of the effects of age?’ He read the American Journal of Insanity and commented from time to time on its contents. The account of the proceedings of the meeting in New York published in the number for October, 1917, he followed with interest. In the early summer of 1916 he met the greatest grief of his life, in the death of his wife, after more than fifty-eight years of the most intimate and loving association. To those who have had the honor and pleasure of an intimate knowledge of Dr. Chapin’s home life some appreciation will come of the great blow which thus descended upon him. Mrs. Chapin had met with an accident several months prior to her death which practically confined her to her room, and the doctor’s assiduous attention to her filled her days with peace and comfort. After her departure he seemed more or less dazed. He could not adjust himself to the changed conditions – he had lost not only his occupation in looking after her every wish, but he had lost his bearings in a measure. He passed a portion of the summer of 1917 with his children and grandchildren at a summer home near Albany on the Hudson, and in many ways appeared like his old self, but he missed the voice that was gone, and the touch of the vanished hand. His home life after his wife’s decease was made as cheerful as possible by the continued presence in turn of one of his daughters, of whom three, all married, and one son, survive him. He occupied himself with writing and with his books, and in seeing his friends. He went about the streets of the beautiful old town when the weather permitted. A day or two before his death he went down town with his daughter, and shortly after returning home complained of feeling ill. When a physician was sent for he said it was unnecessary, as he knew what was the matter – it was the breaking down at the end, and so it proved to be. He retained his old jocular manner almost to the close. His medical advisor called in a consultant and together they gave their patient a thorough physical examination. As they went from the sick room to confer he remarked, ‘They’ll go down stairs and give my disorder a name, but that will not change the result.’ The end came rapidly, with fortunately little suffering, and on the afternoon of Thursday, January 17, 1918, ‘in the comfort of a reasonable religious and holy hope,’ he fell asleep. As a great administrator, as a far-seeing philanthropist who accomplished more for his fellowmen than can now be estimated, as a conscientious and well-trained physician, he has set his mark upon the history of his country and his profession.